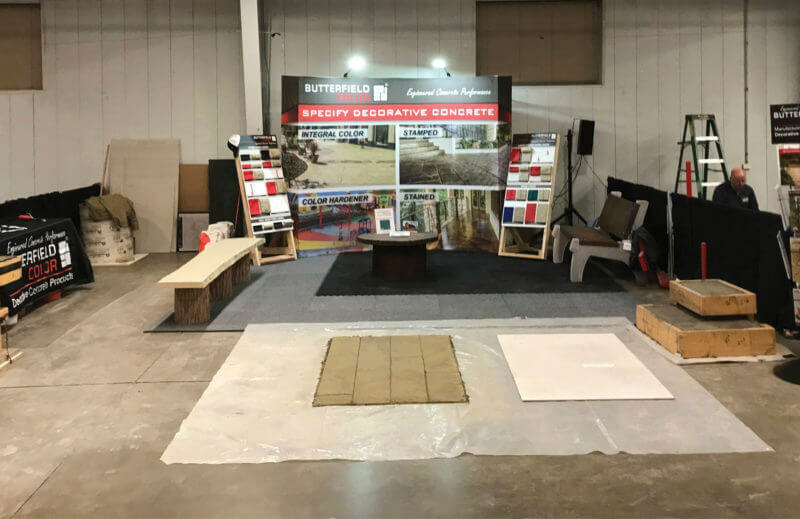 Butterfield Color® recently participated in the 2017 Colorado Concrete Expo held Dec. 13 at the Adams County Fair Grounds in Brighton, Colorado. 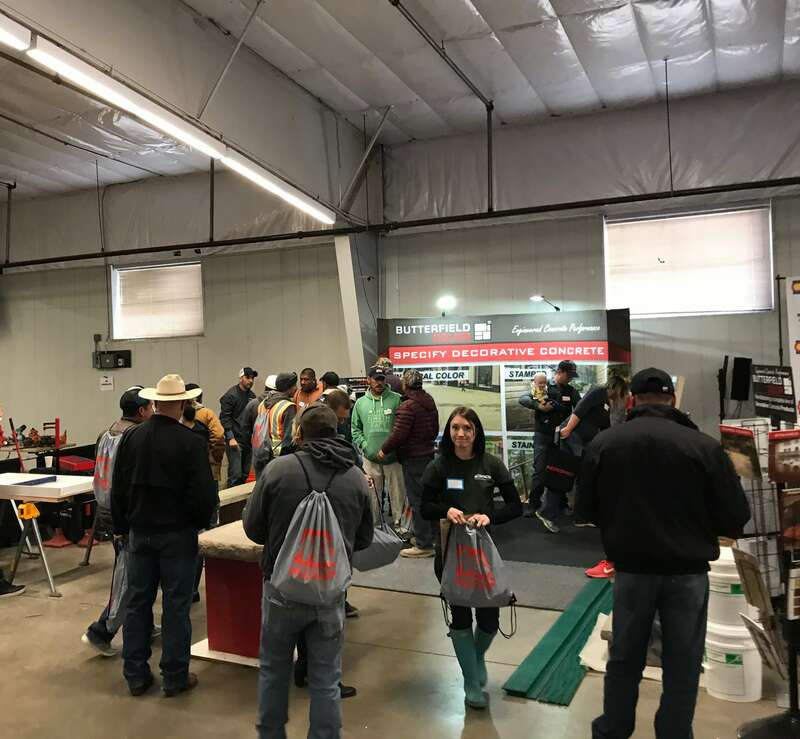 Known as the “premier trade show for concrete contractors in Colorado,” the expo featured a variety of exhibitors from the Western United States, displaying their products and services for dozens of concrete professionals from Colorado and beyond. 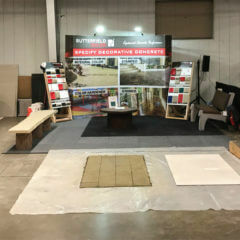 Butterfield Color® Sales and Marketing Manager Keith Boudart and our Western Regional Manager Jesus Dominguez were honored to both present and demonstrate our decorative concrete products at this year’s Colorado Concrete Expo. 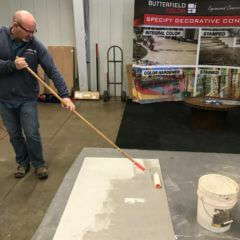 Our product demonstration showed attendees techniques for creating high quality decorative concrete work while maximizing profits on the job. Keith and Jesus discussed the use of integral color, form liners, specialty tools and urethane precast molds to create decorative concrete hardscapes. 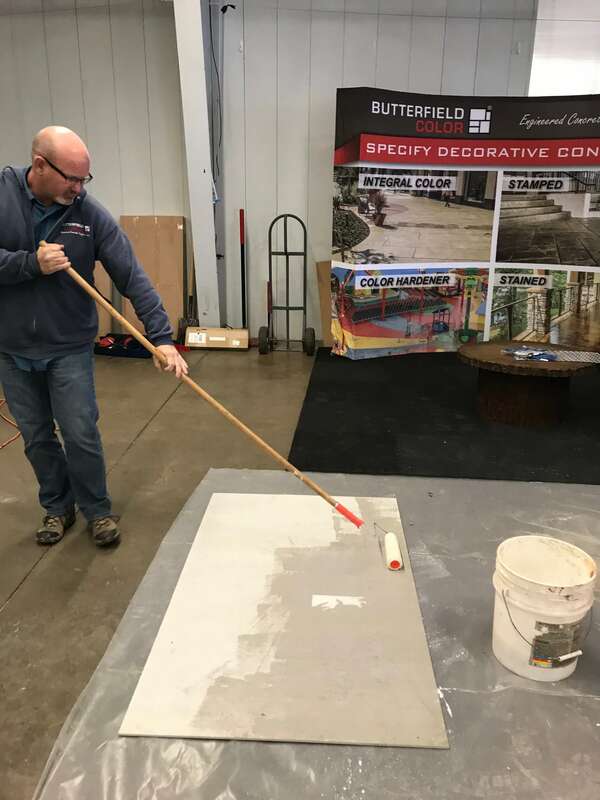 In addition to our presentations, Butterfield Color® also provided a set of decorative concrete stamps worth $1,200 that were given away as a prize to a lucky winner that attended the expo. The Colorado Concrete Expo has been a great way for us to meet with professionals in the concrete industry who may have never been exposed to our line of products. Developing lasting relationships with contractors and distributors gives us all the opportunity to grow our businesses. To view photos from the 2017 Colorado Concrete Expo, click through our photos below. Butterfield Color® is a leading manufacturer of decorative concrete products that are distributed all across North America. Incorporated in 1994, we are driven by high standards developed as contractors, and we are committed to providing an even higher level of service to our customers. All Butterfield Color® products are supported by a staff of technical personnel to ensure high quality installations. Across the concrete industry, our Uni-Mix® and Perma-Cast® brand names have become synonymous with quality. Butterfield Color® products are frequently reviewed for performance standards and new products are introduced regularly, allowing our customers’ businesses to grow. If you’re a distributor interested in selling Butterfield Color® products, contact us by calling (800) 282-3388.